Two things. 1) I need some serious hairspray in these pictures, and 2) I would be perfectly happy if all my clothes were covered in gold glitter. 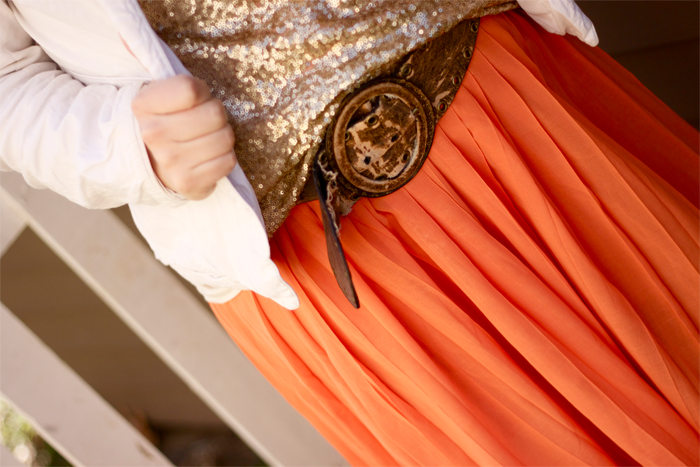 SKIRT: Bought from my girlfriend, Jen, on one of her instagram sales. You should probably follow her now. BELT: I wear this with every outfit, It's from 11th grade. JACKET: H&M a long time ago. oh i love this. and your new blog design. obviously. couldn't agree more with #2! 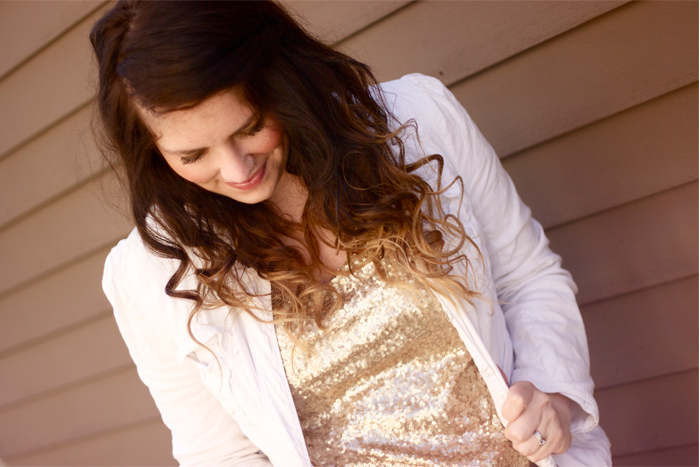 gold glitter yes please! 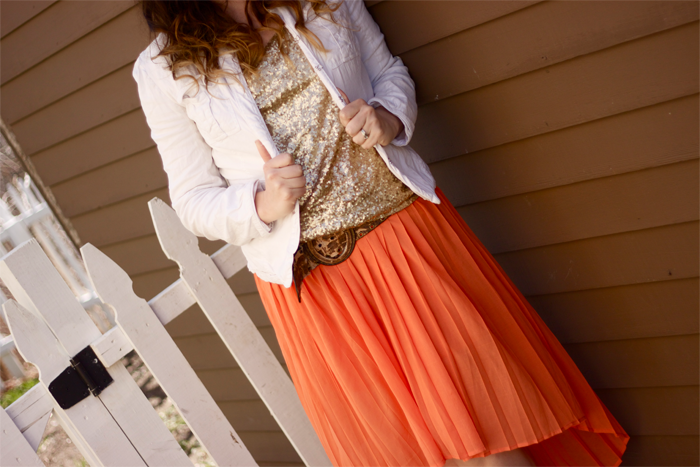 love this color combo together! Love the gold glitter! 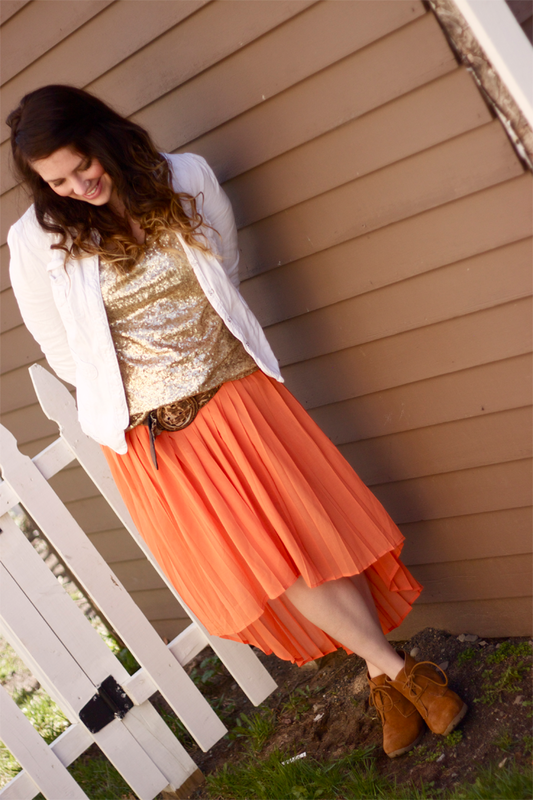 I would never have thought to pair gold and orange together but it totally works - you look so cute! Oh, yes, love the gold glitter too! I love the color of that skirt. 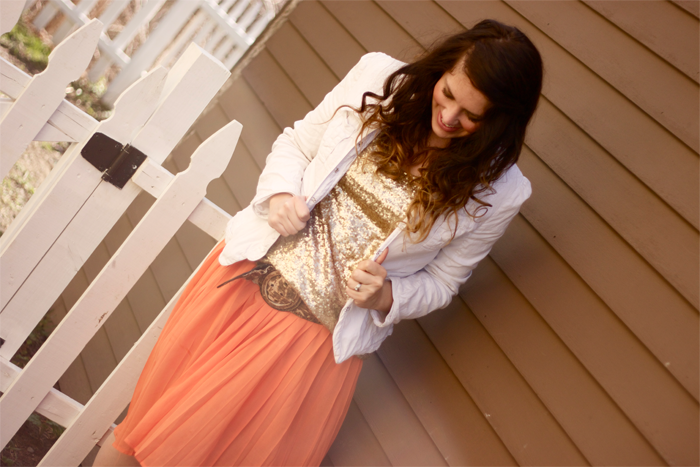 So perfect and I love that you paired it with the sequin top. Such a great combo!